Simply Sliding Wardrobes is a Kent based company that have been designing, manufacturing and installing made to measure sliding wardrobes for many years. Although we are a Kent based company, we regularly work in Surrey to create the ideal wardrobes with your input. 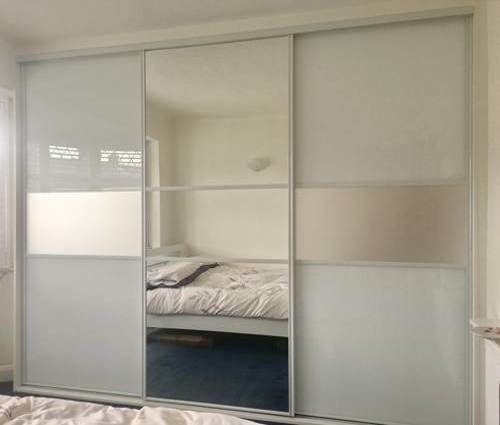 What makes us stand out from other wardrobe manufacturing companies is that on top of style, quality, we also offer choice so you can create the sliding wardrobe to bring your bedroom to life. Whether it is a contemporary sliding wardrobe or something more traditional, our wide range of design materials and our expert designers mean you can make your perfect sliding wardrobe a reality! How We Work – Fitting Sliding Wardrobes in Surrey. Simply Sliding Wardrobes only covers certain areas of Surrey including Epsom, Esher, Weybridge, Reigate, Dorking, Horley, and Leatherhead. Quite simply if you’re looking for a sliding wardrobe company in Kent, we’ll have no problem getting to you and working with you to create your ideal wardrobe. To get in touch, simply submit an enquiry either through our contact us page or give us a call today on ​0800 313 4681. Alternatively, you could send us a message on our Facebook page, and we will be happy to help!